Autumn and winter create exciting challenges when it comes to catering at Merlin Events London as our diary is overflowing with Christmas Parties and lots of festive food. 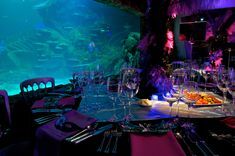 In order to ensure that you and your guests enjoy incredible eating experiences, we work with London’s leading award-winning caterers. Payne and Gunter are ‘London’s originals’ and have extensive experience of English hospitality in all its quirky glory (they’ve been doing it since 1786! ), and we simply love collaborating with them. Here’s their marketing guru Sean Wolstencroft (renowned for spotting ornamental pineapples in obscure places!) to talk you through some of the exotic and tantalising items on their autumn winter menu. Looking for something a little bit different? Enjoy our crisp apple terrine. Presented as a polished Granny Smith, this delectable dish belies the deep and subtle flavours contained within, a combination of pork with apple blossom flowers, cider vinegar, and thyme. Not only ‘apple-ing’ to the eye but a pleasure for the palate too! Roasted in honey, the plump and succulent breast is accompanied by a confit leg croquette, and such time honoured ingredients as baby carrots, pickled blackberries, baby turnips, celeriac dauphinoise, and five spice jus. This rich and flavourful dish in one of our most popular choices over the autumn winter months. To finish we have snowball dessert that has a cool exterior, creamy centre, and a festive feel. This playful yet delicate dish combines coconut, white chocolate, cranberry and pectin. Once these flavours are melting on your tongue, you won’t want to throw this snowball around! If all this festive food has got your taste buds tingling, then why not book with us? 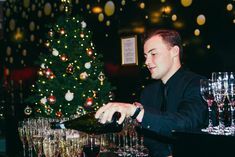 We’ve still got a few spaces left for Christmas Office Parties (check out The 12 Dates of Christmas and Shared Christmas Parties.